My job requires me to dress in at least business casual. So I only wear jeans on weekends. A few days ago, when I looked though all my old photos, I found I really don’t have a lot of casual looks. So for today’s post I decided to start the weekend early! You’re welcome! But we fashion bloggers are always on the clock so even when we’re wearing our cool on trend ripped jeans, we have to do it right. Which I am with my SUEDE FINISH SHORT TRENCH COAT from eShakti. Last Monday I wrote about my great experience with eShakti, you can read more here. They have so many choices but I fell in love with this trench coat. 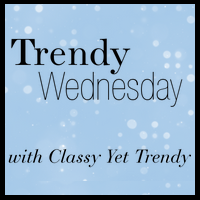 The color, style and versatility made it an instant hit for me. Don’t believe me? Well your own eyes wouldn’t lie to you, so here are a few different looks built around the same coat. When I am looking for a new item to allow into my walk-in closet, I always like to envision at least two outfits that I could create by pairing the newcomer with what I already have. And most important, they must have the ability to make me look like I’m dressing my A game. Hey, entry into my wardrobe isn’t for wimpy clothes. My outfits have to work hard to earn a spot in my fashion rotation and especially if they ever hope to be featured on my blog. You see, I am a very picky person when it comes to shopping. I have to be. I’m not just shopping for me but for all of you too! No. No, you don’t have to thank me. It’s all just part of the job! So far I am very happy with this trench coat. It’s definitely earning it’s keep. I know I can wear it with so many different things and the color is spot on! U.S. and Canada only. Winner is selected by Rafflecopter automatically and will be contacted via email, you must enter a valid email and must confirm receipt within 48 hours from the time and date emailed. This event is in no way administered, sponsored or endorsed by, or associated with Twitter, Facebook, Google, Pinterest or any other Social Media platform. No purchase is necessary to enter. Odds of winning are contingent on the number of entries received. You will have 48 hours to respond or prize is forfeited and a new winner will be selected. Void where prohibited by law. The SPONSER is responsible for shipping and delivery of the prize unless otherwise stated and the owners of Colorandgrace.com are not liable for prize delivery or receipt. You will hold colorandgrace.com harmless of all claims. All entries will be verified before winner is notified and any invalid entries will be disqualified. Code has to be entered in the ‘promotional code’ box. It is not case-sensitive. Code can be used any number of times until the validity period. It can be clubbed with any other promotional offer, gift coupon or gift card in the same order unless explicitly specified otherwise in the offer conditions. This discount code is not applicable on clearance, gift cards & overstock categories. 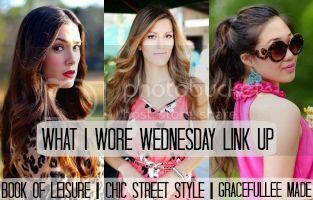 Don’t forget to join the Color and Grace fashion link up below. Have a great day everybody! Those boots! That bag! And of course you always look amazing, Dear! Darling trenchcoat on you! Love the color! What a pretty coat and so versatile too for the much needed pop of color! Amazing coat, and I love the hem on your jeans with the booties. I think that trench coat looks amazing on you. I’m eyeing that bag. It looks exactly like a Chloe bag! Love your jacket and that pink bag is amazing! What a killer trench coat! It looks amazing you! I’m also loving those booties! Well, I don’t know where to start! The colour of the trench is so vivid and I love all the detailing in it. So refreshing to see a trench in a bright colour – an antidote to all the neutrals we see it in. And then those snakeskin boots. They look wonderful. Um…. you’re a bad influence, Grace, I’m going to have to find a pair of snakeskin boots this season!!! Hope you guys are truly on the mend now after last week. the color of that coat is amazing!! looks great on you. def a good staple to have. I love that coat, Grace! I actually didn’t know eShakti carried coats. I’ll have to do some more shopping now, haha. Could you get any cuter, Grace?! Love your whole look! That gorgeous blue trench and those snakeskin booties are amazing on you! Love! great giveaway sweetie and i must say this color combo looks fabulous on you!! love love!! Love this colorful trench coat!! You styled it so great too! I’ve got my eye out for cute outerwear! I need those boots in my life! I love that trench! Awesome color! Nice giveaway! I can’t take part of the giveaway, but wish you luck with it! I love coats that are stylish and that trench coat is PERFECT! I didn’t know eShakti sold coats! What a fun coat! I love it with those snakeskin booties and pop of hot pink–such a cute, colorful look! I LOVE that trench…your whole outfit is great, you look adorable and those booties….I WANT! Totally love a good blue and white striped top. And the pink bag with that blue coat — totally my kind of color combo! Love your purse – it’s a dead ringer for the Chloe Drew! Love the bright trench coat- perfect for a pop of color in the fall! This coat is just unreal! I love the blue colour and orange piping. I love the contrast piping on your trench coat! Those booties are amazing too!